A high prevalence of citizens on disability benefits incurs large costs for individuals, organizations, and the society (1, 2). In Norway, 9.4% of the population aged 18–67 years was on disability retirement in 2014, and psychiatric problems have been the most frequent cause for disability retirement since 2011 (3). Knowledge about factors that protect workers against disability retirement following psychiatric problems is therefore important for reducing costs related to disability benefits. An organization’s prioritization of policies, practices, and procedures for the protection of worker’s psychological health and safety has been established as a protective factor with regard to psychiatric problems among employees (4–6) and has also been found to be related to work ability in general (7). The prioritization of workers’ health and well-being may consequently also contribute to the reduction in the risk of disability retirement following psychiatric problems.  An organization’s prioritization of employee health and safety may increase the coping capacity among workers and thereby reduce the impact of negative life events (4, 6, 8). Workers in organizations that prioritize employee health should consequently be more capable to deal with such problems. The aims of this study were to determine whether human resource primacy (HRP) [ie, employees’ perceptions of how the organization shows interests in its employees’ welfare, happiness and health (9)] (i) is related to the risk for disability retirement and (ii) moderates the impact of psychological distress on later risk for disability retirement. This study is a part of the research project: “The new workplace II: work factors, sickness absence, and exit from working life among Norwegian employees”. The study protocol provides a full description of the research project, procedure, and data material, including demographic information (10). The project is based on a questionnaire survey combined with official registry data on disability benefits. The survey part comprises data from a large sample of adults employed in a full- or part-time position. Subjects were recruited from organizations in Norway that were invited to participate in the study. All employees, excluding those on sick leave, were mailed a letter which explained the aims of the project and assured that responses would be treated confidentially. The survey was web-based, although participants with limited access to computers were given the option of completing a paper version of the questionnaire. From 1 November 2004 to 15 December 2014, a total of 31 823 employees recruited from 97 organizations were invited to participate in the survey. Altogether 15 282 persons responded (response rate: 48%) and 14 501 (95%) respondents permitted linking survey questionnaire data to registry data. About 85% of the respondents answered the questionnaire through the electronic survey form. About 15% used the paper form. The Regional Committees for Medical and Health Research Ethics (REC) in Norway (REC South East) and the Norwegian Data Protection Authority approved the project, which was conducted in accordance with the World Medical Association Declaration of Helsinki. All study participants provided informed consent. Respondents are treated anonymously in the data analyses. Only respondents who permitted the linking of their answers to registries are included in this study. Survey data were linked to the sickness- and disability-benefit registries of the Norwegian Labor and Welfare Administration by the unique 11-digit national identity number. The registers provide complete records of disability retirement and all sickness absence episodes – including the length and medical diagnosis – which are compensated by the national insurance sickness benefit (11). All residents of Norway are members of the national insurance scheme. Residents aged 18–66 who have been a member of the scheme for ≥3 consecutive years prior to the onset of disease, illness or injury are eligible for the disability pension program (12). A disability pension is only granted to those with a physician-certified minimum reduction in the ability to work of 50%. We had access to information on disability pension compensation up to 1 January 2015. Psychological distress was measured with the 10 item version of the Hopkins Symptom Checklist (HSCL-10) (13). The HSCL-10 comprises 10 items on a 4-point scale (1=“not at all”, 2=“a little”, 3=“quite a bit”, and 4=“extremely”). Cronbach’s α for this scale was 0.86. HRP was measured with an established 3-item scale from the General Nordic Questionnaire for Psychological and Social Factors at Work (QPSNordic). The items cover aspects of rewards for a job well done, workers well taken care of, and management interested in the health and well-being of personnel (9). Responses were recorded with the following alternatives: 1=“very little or not at all”, 2=“rather little”, 3=“somewhat”, 4=“rather much”, and 5=“very much”. Cronbach’s α was 0.77. Data were analyzed with SPSS 23.0 (IBM Corp, Armonk, NY, USA). Hazard ratios (HR) and 95% confidence intervals (95% CI) were calculated with Cox regression in analyses of risk factors for post-response disability retirement event. As recommended for studies in healthy populations (14) attained age (at censoring/event) was the underlying time scale in the analysis and made age adjustment redundant. Gender and education were included as covariates. Mean scores were calculated for the indicators of HRP and psychological distress. Mean age in the total sample was 42.75 [standard deviation (SD) 10.8] years. The majority of the sample was women (55.7%). Altogether 4.4% (N=553) of the sample entered the disability retirement scheme during the study period. HRP was negatively related to psychological distress (Pearson’s r= -0.27, P<0.001). Descriptive statistics and bivariate associations are displayed in table 1. Male gender, higher educational level, and higher levels of HRP were all significantly related to lower risk, whereas psychological distress was related to a higher level, of disability retirement in the bivariate analyses. a Male gender is reference category. Findings from stepwise multivariate analyses in the total sample, and as separated by gender, are presented in table 2. In the total sample, HRP (HR 0.85, 95% CI 0.76–0.95) was significantly related to reduced risk of disability retirement after adjusting for gender and educational level in the first step. The association between HRP and disability retirement became insignificant when psychological distress was added to the regression in the second step. The interaction term between psychological distress and HRP added to the third step of the analysis was insignificant (HR 1.08, 95% CI 0.91–1.29), indicating that HRP did not modify the effect of distress on disability retirement. The impact of gender, educational level, human resource primacy (HRP), and psychological distress (PD) on register-based all-cause disability retirement. Multivariate analyses for total sample, and separated by gender, with age at inclusion as time-dependent variable in Cox regressions). [HR=hazard ratio; 95% CI=95% confidence interval]. Gender (female) a 2.94 b 2.28–3.78 . .. . ..
<9 (reference) . .. . .. . .. Gender (female) a 2.70 b 2.09–3.49 . .. . .. Gender (female) a 2.68 b 2.08–3.47 . .. . ..
With the exception that educational level was more strongly associated with disability among women than among men, the gender specific analyses replicated the findings from the analyses in the total sample. As the there were differences in the length of the follow-up period for respondents, analyses were rerun using “length of follow-up period in years” as underlying time scale variable. The findings remained consistent with the analyses reported above. Replicating previous findings, female gender (15–17), educational level (18), and psychological distress (19, 20) were risk factors for all-cause disability retirement. HRP was not related to disability retirement in models adjusting for psychological distress and did not moderate the impact of distress on later disability retirement. Hence, a novel finding from this study is that an employee’s overall perceptions of whether the organization prioritizes the health of workers seem to have some impact on later risk for disability retirement in general, but not in cases of psychological distress. While previous research have showed that prioritization of psychological safety is related to mental distress (8), somatic complaints (21), and general work ability (7), this non-significant impact of HRP on risk for disability retirement when adjusting for distress at baseline indicates that an organization’s measures to protect employee health and well-being may not be beneficial and protective for all. The prospective study design, large sample size, psychometrically sound instruments, and use of official registry data to measure disability retirement are strengths of this study. Nonetheless, findings should be interpreted with caution due to the use of self-report instruments to measure psychological distress and HRP, which can increase the risk for recall bias and unobserved confounding factors influencing findings. While convenience sampling was used at the organizational level, the sample can be considered as a probability sample at the individual level since all employees were invited to participate in the survey. Altogether 52% of invited respondents did not participate in the questionnaire survey. The external validity of the findings may therefore be questioned. As respondents were nested within organizations, the hierarchical structure of the data may have influenced the investigated associations. As HRP does not seem to protect workers against the risk for disability retirement following psychological distress, an implication of this study is that scholars and practitioners must identify other factors, both at the individual and organizational level, which may reduce the risk of disability retirement. Since the HRP measure was general, specific facets of psychosocial safety climate (4) or perceived organizational support (6) may produce other findings. This study represents a single contribution to the understanding of disability retirement and should therefore be replicated with other samples, measurement instruments and research designs. Hierarchical linear models may rule out the potential impact of reporting bias related to HRP. The study is a part of a larger project entitled “The new workplace II: Work factors that determine absence and exit from working life: A prospective, full-panel longitudinal study” funded by The Norwegian Research Council. Grant number: 237788. The authors thank the participating companies for their contributions to the survey, and Bjørn Lau, Anne Lene Andersen, Shahrooz Elka, Margrethe Schøning, Jan Olav Christensen, Elisabeth Petersen, and Jan S Emberland for their assistance in the administration of the survey. Bratberg, E. (1999). Disability retirement in a welfare state. Scand J Econ, 101(1), 97-114, https://doi.org/10.1111/1467-9442.00143. Zaidi, A, & Burchardt, T. (2005). Comparing incomes when needs differ: equivalization for the extra costs of disability in the U.K. Review Income Wealth, 51(1), 89-114, https://doi.org/10.1111/j.1475-4991.2005.00146.x. Norwegian Labor and Welfare Administration. (2015, cited 24 August 2016). 1 av 3 uføre har psykiske lidelser [1 out of 3 on disability retirement has psychiatric complaints], Oslo, NAV, Available from: https://www.nav.no/no/NAV+og+samfunn/Statistikk/Pensjon+-+statistikk/Nyheter/1-av-3-uf%C3%B8re-har-psykiske-lidelser. Dollard, MF, & Bakker, AB. (2010, Sep). Psychosocial safety climate as a precursor to conducive work environments, psychological health problems, and employee engagement. J Occup Organ Psychol, 83(3), 579-99, https://doi.org/10.1348/096317909X470690. Bond, SA, Tuckey, MR, & Dollard, M. (2010). Psychosocial safety climate, workplace bullying, and symptoms of posttraumatic stress. Org Dev J, 28(1), 28-37. Rhoades, L, & Eisenberger, R. (2002). Perceived organizational support: A review of the literature. J Appl Psychol, 87(4), 698-714. Emberland, JS, & Knardahl, S. (2015, Mar). Contribution of psychological, social, and mechanical work exposures to low work ability: a prospective study. J Occup Environ Med, 57(3), 300-14, https://doi.org/10.1097/JOM.0000000000000353. Dollard, MF. (2007). Psychological safety culture and climate;definition of a new construct. Adelaide: Work and Stress Research Group: University of South Australia. Dallner, M, Elo, A-L, Gamberale, F, Hottinen, V, Knardahl, S, Lindström, K, et al. (2000). Validation of the General Nordic Questionnaire (QPSNordic) for psychological and social factors at work. Copenhagen: Nordic Council of Ministers. Nielsen, MB, Christiansen, S, Indregard, AM, Emberland, JS, Elka, S, & Knardahl, S. (2016). The new workplace II: protocol for a prospective fullpanel registry study of work factors, sickness absence, and exit from working life among Norwegian employees. SpringerPlus, 5, 243, http://doi.org/10.1186/s40064-016-1896-z. Strømholm, T, Pape, K, Ose, SO, Krokstad, S, & Bjorngaard, JH. (2015, Apr). Psychosocial working conditions and sickness absence in a general population: a cohort study of 21,834 workers in Norway (The HUNT Study). J Occup Environ Med, 57(4), 386-92, https://doi.org/10.1097/JOM.0000000000000362. Ingelsrud, MH. (2016, Feb). Disability retirement and public sector reorganization: Hospital mergers in Norway. Acta Sociol, 59(1), 35-50, https://doi.org/10.1177/0001699315611191. Strand, BH, Dalgard, OS, Tambs, K, & Rognerud, M. (2003). Measuring the mental health status of the Norwegian population: A comparison of the instruments SCL-25, SCL-10. SCL-5 and MHI-5 (SF-36). Nordic J Psych, 57, 113-8, https://doi.org/10.1080/08039480310000932. Korn, EL, Graubard, BI, & Midthune, D. (1997, Jan 1). Time-to-event analysis of longitudinal follow-up of a survey: choice of the time-scale. Am J Epidemiol, 145(1), 72-80, https://doi.org/10.1093/oxfordjournals.aje.a009034. Karlsson, N, Borg, K, Carstensen, J, Hensing, G, & Alexanderson, K. (2006). Risk of disability pension in relation to gender and age in a Swedish county;a 12-year population based, prospective cohort study. Work, 27(2), 173-9. Gravseth, HM, Bjerkedal, T, Irgens, LM, Aalen, OO, Selmer, R, & Kristensen, P. (2007). Life course determinants for early disability pension: a follow-up of Norwegian men and women born 1967-1976. Eur J Epidemiol, 22(8), 533-43, https://doi.org/10.1007/s10654-007-9139-9. Sterud, T. (2013). Work-related psychosocial and mechanical risk factors for work disability: a 3-year follow-up study of the general working population in Norway. Scand J Work Environ Health, 39(5), 468-76, https://doi.org/10.5271/sjweh.3359. Hagen, KB, Holte, HH, Tambs, K, & Bjerkedal, T. (2000, Oct 1). Socioeconomic factors and disability retirement from back pain: a 1983-1993 population-based prospective study in Norway. Spine, 25(19), 2480-7, https://doi.org/10.1097/00007632-200010010-00010. Manninen, P, Heliovaara, M, Riihimaki, H, & Makela, P. (1997, Oct). Does psychological distress predict disability? Int J Epidemiol, 26(5), 1063-70, https://doi.org/10.1093/ije/26.5.1063. Karpansalo, M, Kauhanen, J, Lakka, TA, Manninen, P, Kaplan, GA, & Salonen, JT. (2005, Jan). Depression and early retirement: prospective population based study in middle aged men. J Epidemiol Community Health, 59(1), 70-4, https://doi.org/10.1136/jech.2003.010702. Bailey, TS, Dollard, MF, McLinton, SS, & Richards, PAM. (2015, Apr 3). Psychosocial safety climate, psychosocial and physical factors in the aetiology of musculoskeletal disorder symptoms and workplace injury compensation claims. Work Stress, 29(2), 190-211, https://doi.org/10.1080/02678373.2015.1031855.